Whether it is the African Penguins that take over the path on our morning runs, or the playful seals that pop out of the water to say hello at breakfast time – Simons Town is full of wildlife and natural beauty! PACHAMAMA, docked at False Bay Yacht Club, is surrounded by stunning hillside which makes sunset and sunrise quite spectacular. 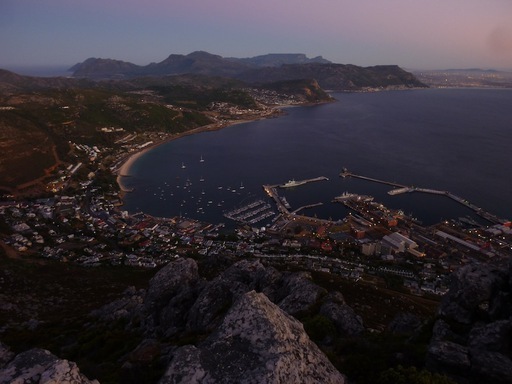 Simons Town is also the Naval Base for South Africa, and during WW2 over 300 boats were repaired here. The perfect spot to fix up Pachamama for the next Atlantic crossing! 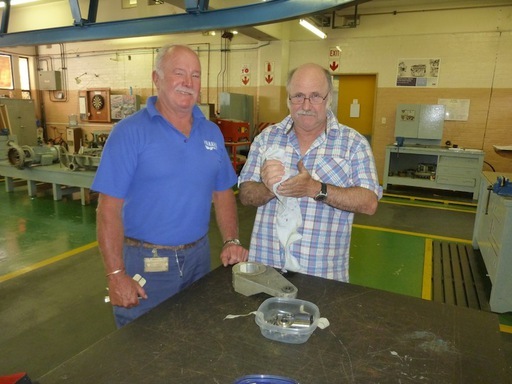 Thank you so much Robert and Humphrey to mashine the part for Pachamama’s steering system!! 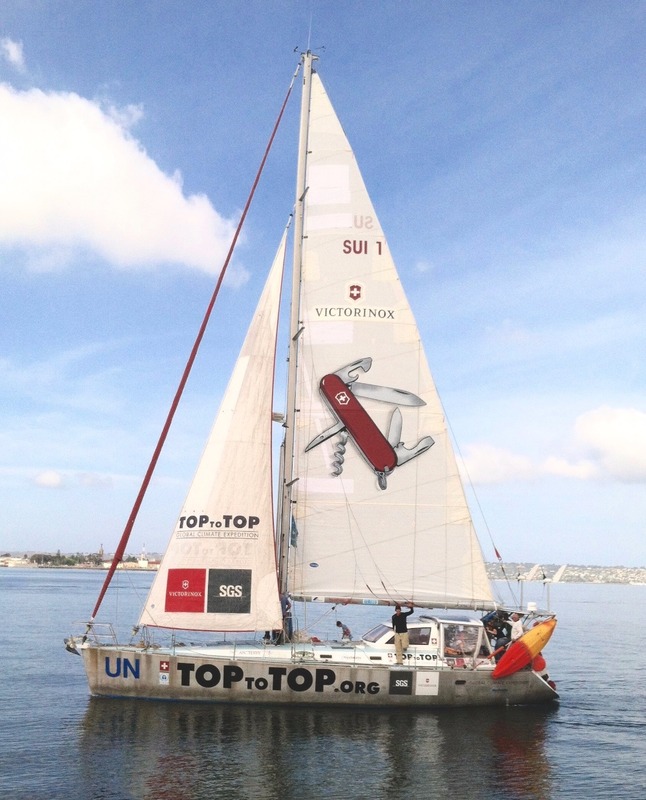 Life has been both hectic and exciting for the TOPtoTOP crew here in Simons Town. Here, the Schwoerer family is joined once again with TOPtoTOP supporter Anne-Marie and film-maker Jacqui! 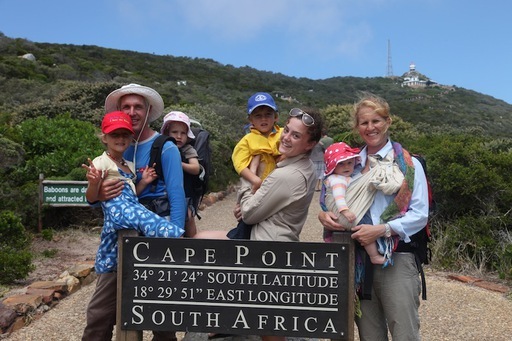 On the 8th, Kirsten, a new friend of TOPtoTOP took the entire family on a drive to the Cape Point. There, we went walking to see the cliff face and hiked to “Cape of Good Hope” ~ the most south-western point of the African Continent. 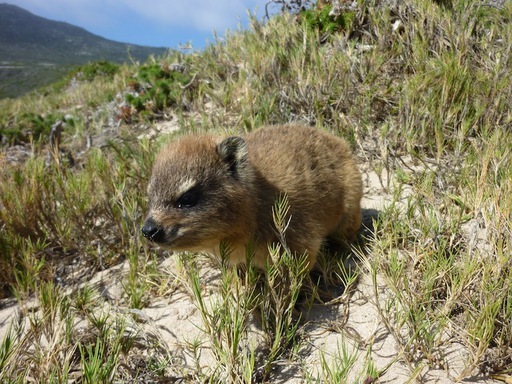 Salina was very amused by the little creatures with scrambled up the hillside ~ called a “Rock Dassie”, similar to huge guinea pig. 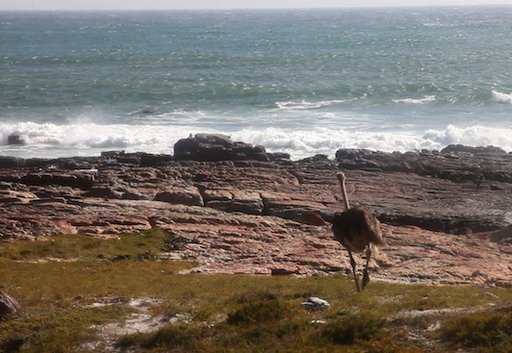 Andri also spotted a humungous ostrich on the water front! 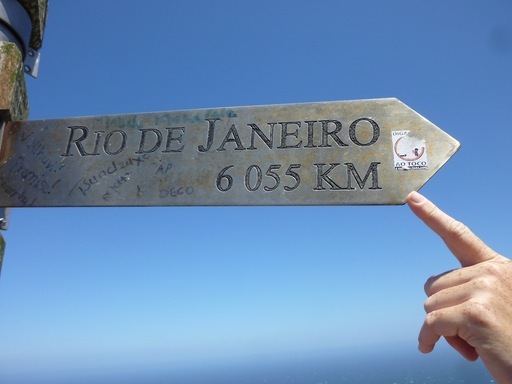 On the top of Cape Point, there was a sign showing the distance to other cities around the world – here we could see our next destination, Rio, “only” 6055 km to go! It is after 7 years and 7 months Pachamama sails again in Atlantic waters! 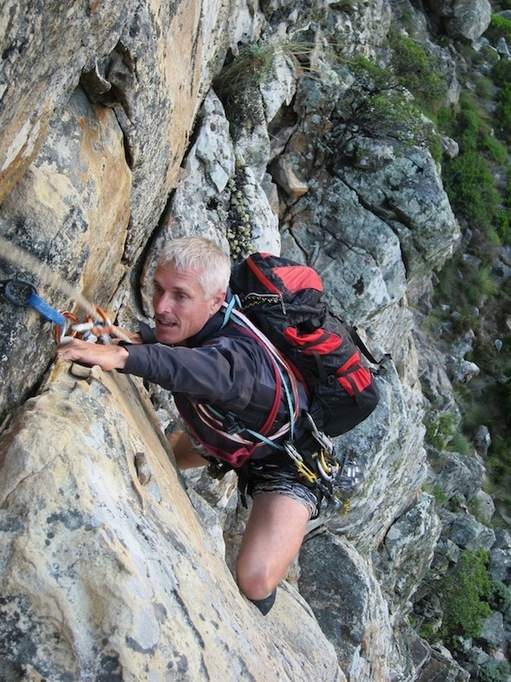 Dario has also had a great time exploring Cape Town – firstly by climbing (literally) to the top of Table Mountain! – Thank you so much Riaan and Louis to be my climbing partners this days and become my friends, Dario! Then it was time to have some family time for the Schwoerers and adventure time for Jacqui and Annemarie! The family enjoyed wonderful hikes in the national park of Jonkershoek. There they met Guy Palmer THE expert of biodiversity at the Jonkershoek Scientific Services: He confirmed that the climate is also changing here. The rain patterns have changed what has an impact to the flora. See their website Cape Nature (www.capenature.co.za) to learn more. Read more about the unique flora from Annemarie’s report. Finally we like to thank John & Lizelle from Strand and Rene Buetzer from the Swiss Club in Cape Town to make this days a highlight in our expedition. Jacqui spent her time on the western coast, in Laangeban, playing with the wonderful crew at windchasers! The wonderful thing about TOPtoTOP is that even after PACHAMAMA has left the shores or the family and their entourage has hiked to the next town or country or city, the impact they leave behind is immense. 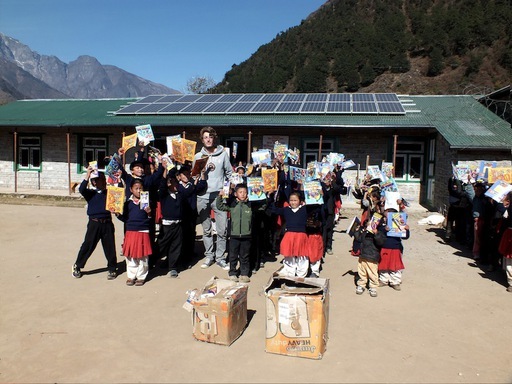 TOPtoTOP is sustainable and ongoing action – this was best highlighted with these pictures we received from the school TOPtoTOP visited in 2010 in Pangbouche, Nepal! Since their visit to Nepal, TOPtoTOP asked their dedicated supporters to try and find some schooling materials for the local primary school. The reply was fantastic, and the small community from Yankallila, South Australia, managed to send over plenty of school books to help the students with their education! Many thanks to our TOPtoTOP coordinator in Australia “Hanna” and the Rotary Club of Yankallila for your effort to make a change! Everyone was so proud to see the familiar children better equipped for the future. “Nature was on our side Sunday morning for we were blessed with a bright sun and glorious weather as we started up the Montagne des Signaux. This time our team had grown to 11 and we happily trudged our way up the side of the Mountain, whilst enjoying the view of the city of Port Louis on our right. We could also see the whole northern part of the island, up to Gunners Coin, Flat Island, Ile aux Serpents and Ile Ronde. The very act of ascending the mountain and watching Port Louis shrink gradually was a liberating one, for we felt that we were leaving our daily worries and routines behind us, back in the city…and that with each step we took we felt lighter and happier. We came across a few persons engaged in their daily walk. Although the mountain side is quite bare, we did find beauty in its flowers and birds! We arrived at the top of the Montagne des Signaux after 1h30 minutes and spent some time enjoying the view of the North West and West coast of Mauritius. For some members who did the climb after a very long time or the first time, it was fun trying to recognise buildings and places amidst the fast changing scenery of our Capital and its surrounding towns and villages. Now the Montagne des Signaux is cleaned from Monday to Friday by Government authorities, and we were not expecting to find a lot of waste along our way. To our surprise, we gathered 3 bags of plastic waste at the top itself, after having filled the two available bins. And 4 more bags on our way down! Could you imagine creation of so much waste in just two days time??? Montagne des Signaux is a favorite spot for fit people who love to run or walk up the mountain, and is yet still filled with so much litter! Jordy, one of our volunteers wished to appeal to people to be more careful about the way they treat our environment: “Please do not forget you can be an example to your family and friends, so try to keep the mountain clean by bringing your litter down”. Our youngest volunteers of the day were Jordy, David, Ruvin and Jude. They were so energetic and eager during the clean up and we look forward to having more youngsters like them with us for our clean ups! 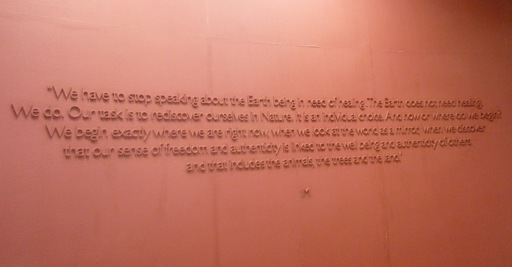 “We have to stop speaking about the Earth being in need of healing. The Earth does not need healing. We do. Our task is to rediscover ourselves in Nature. It is an individual choice. And now on where do we begin?